Moving to Brooklyn has so many advantages. Moving to New York, in general, is probably the most exciting thing ever. However, living a good life in New York can cost somewhat a large sum of money. Not to worry though, if you are on a budget there is something that you can do. 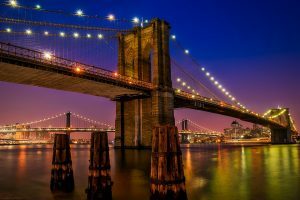 Look for most affordable parts of Brooklyn, and that is exactly what are we going to try and show you here. 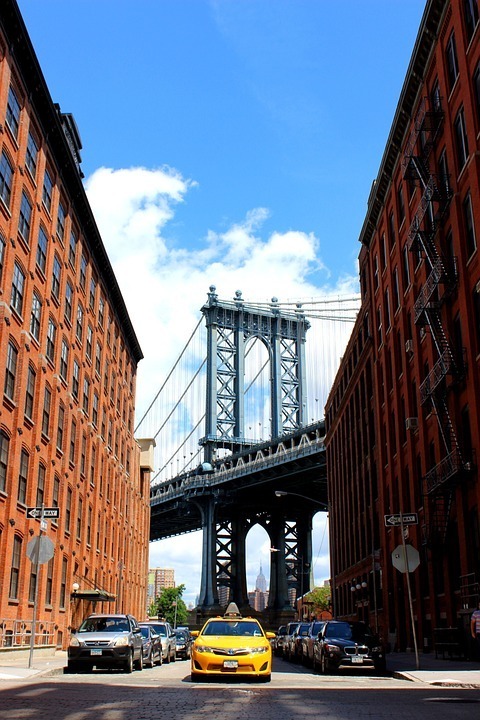 If the most affordable parts of Brooklyn are what you need you came to the right place. When you look for affordable places, you are probably looking for affordable movers NYC as well. So, do not stress, you will find it all. These are some of the neighborhoods that are budget friendly here in Brooklyn. Find out about them and make your pick. It all depends on what are you looking for in a neighborhood. Good food? Close schools? Gym across the street? Whatever you are looking for, it is possible to find it somewhere in Brooklyn. Once you find your place in Brooklyn, if you are renting, ask and check everything you need before signing a contract. Sunset Park is perfect. In every sense of that word. If you are looking for a budget-friendly neighborhood where you want to raise a family, Sunset Park is it. Look no further. If you rent an apartment here while having a job in Manhattan, in a matter of half an hour you will arrive at your work using the subway system. Not to mention the variety all restaurants with so many different cousins to choose from. Sunset Park is definitely becoming more and more popular, just as the borough itself. Bushwick is for you if you are younger of age, single or in a relationship. Raising a family here is definitely possible, but the vibe of this neighborhood is somewhat different from the vibe that a family neighborhood should have. This is a hip neighborhood, that draws young people from all over the world. It is really, as New Yorkers would say, an up and coming neighborhood. 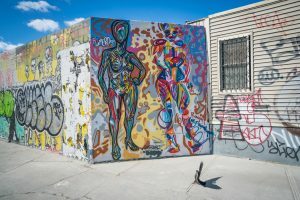 So, if you think you are cool enough for Bushwick, come here and start your new, awesome hip life, and enjoy the beautiful street art. If you are into nature and green view this is a place for you. Here, it doesn’t really matter if you are single or you have lots of children, this is such a welcoming neighborhood for everyone. So many great restaurants and bars to even count. This is one of those neighborhoods that has everything and for everyone’s taste. You should have some patience though when it comes to the traffic if you are headed to some other borough, but nothing to worry about, just leave on time. Bedford-Stuyvesant is such a nice and welcoming neighborhood. People that live here, have a special bond. This neighborhood is widely famous for helping each other and having each other back. So, if you feel like you can be part of such a community you will be more then welcome. This neighborhood is suitable for singles as for families. There are neighborly parties and a lot of affordable restaurants with homemade dishes. Crown Heights is another family friendly neighborhood. It can definitely go under most affordable parts of Brooklyn. This neighborhood can show you good schools and a mix of cultures. This part of Brooklyn has somewhat a bad reputation, but this reputation is changing rapidly. This neighborhood is becoming one of the most wanted for families since the crime rate is way lower then it was, years ago. Therefore, do not believe what you hear. Crown Heights is definitely becoming one of the best neighborhoods to live in. Bay Ridge is such a family place. It is all about the family here. So many great public schools and kindergartens bring a huge number of families to Bay Bridge. Of course, Bay Bridge can definitely go on our list of most affordable parts of Brooklyn since it really is. A lot of restaurants are a family job that goes through generations. From father to son and so on. This is something that people from Bay Bridge are very proud of, that they are still keeping up as an old Brooklyn. Moving to Brooklyn nowadays is the best move that you can make. It doesn’t matter if you are single or with a big family, there is a perfect place for you in this borough. 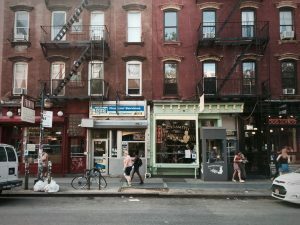 New York in general, is an expensive city to live in, but there are still great places that are completely affordable. Brooklyn is becoming more and more popular as the time goes by, its reputation is better, crime rates are lower and people are rushing to this borough with the same desire as they were rushing to Manhattan. 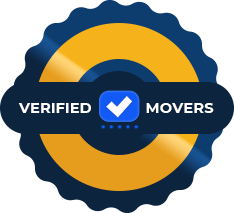 So, finding your place in this lovely borough is all you have to do, and for any moving requirements, upper Manhattan movers are the ones to call.